A viewing device that has features for both hunting and tactical purposes, and which is easy on the pocket may sound impossible at first. But for Vortex Optics, this is possible with its Diamondback HP (High Performance) riflescope. The Diamondback HP comes as a latest addition to the company’s line of optic devices. In this Vortex Optics Diamondback HP Riflescope review, we will discuss the scope’s numerous features. We will also try our best to answer the various questions that prospective buyers usually ask. We hope that after reading this review, you will be equipped with relevant information that will help you make an informed purchase. 1.10.1 Q. Who are the manufacturers of Diamondback Riflescope? 1.10.2 Q. Is the riflescope shock-resistant? 1.10.3 Q. What colors can I purchase the Diamondback Riflescope in? 1.10.4 Q. Is the Diamondback Riflescope water-resistant? 1.10.5 Q. Does the riflescope come with a case for holding it? 1.10.6 Q. Does the riflescope come with chords for holding it? 1.10.7 Q. What is the weight of the riflescope? 1.10.8 Q. Does the riflescope come with a warranty? 1.10.9 Q. What is the scope’s eye relief? 1.10.10 Q. What is the objective lens diameter of the scope? 1.10.11 Q. Does the scope come with a remote control? 1.10.12 Q. Does the riflescope come with an external power supply cable? 1.10.13 Q. Is the scope used for hunting only? 1.10.14 Q. What are some of the things that this scope comes with? A 4-16x magnification allows you to zoom in and view minute details of your target. Also, this zooming feature ensures your safety as you can now keep a considerable distance between you and your target, 300+ yards, without sacrificing your ability to see it well. The scope also uses a precision glide erector system to ensure a smooth and precise magnification as you draw the lens back and forth. The producers of the Diamondback have housed it in a body that is made of aircraft-grade aluminum. This, together with its rugged design, makes the scope resistant to shock so if you accidentally drop it while in the field, it will not be damaged. 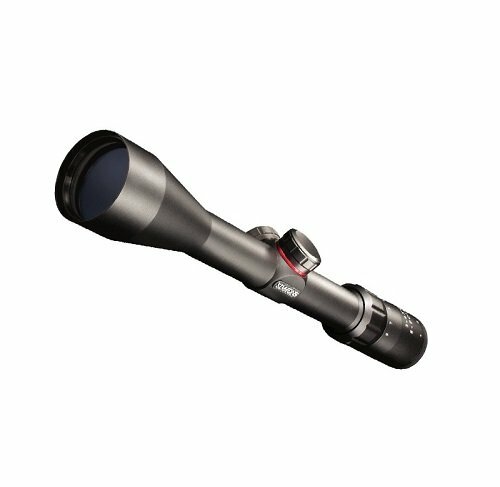 The aluminum body also makes the scope corrosion-resistant. The scope also has O-ring seals, which prevent moisture, dust and debris from entering and damaging it. Lastly, the scope has been purged with argon gas so that it won’t get fogged from within. Therefore, you can use this scope even under rainy and foggy conditions without experiencing any problems. The scope’s renowned DEAD-Hold BDC reticle helps you to correct for the impact of prevailing winds on your bullet when you shoot. It allows for the total elimination of the much frustrating and time wasting guesswork that comes along with windage and holdover corrections. As a result of this the scope performs excellently when using it to shoot at different ranges that involve the estimation of holdover. It also gives you a reference point for shooting via the Dead-hold feature. All you have to do to enjoy this impressive feature is visit the Vortex Optics website, upload your environmental conditions data, and the website will produce a set of graphics that match your environment. You may print this out and use it to adjust your reticles. The lens of the Diamondback is made with extra-low dispersion (XD) glass, which enhances resolution and color when you are viewing. Furthermore, the lens has anti-reflective coatings, which allow it to absorb maximum light so that you can see your target under low-light settings. The scope comes with a generous eye relief of four inches. This long eye relief comes with a number of advantages, including allowing both glasses wearers to see through the scope comfortably without taking off their eye glasses. In addition to this, the long eye relief also provides enough room to avoid the painful effect of rifle recoils on the eye. 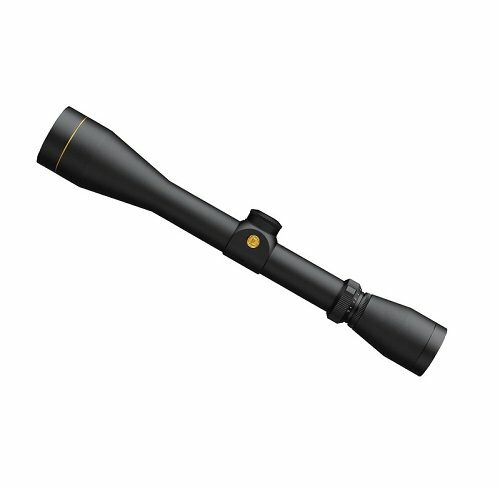 The manufacturers of the scope have given its body a hard anodized finish, which is durable and doesn’t glare too much. This way, your position as a shooter is significantly hidden from your target. It is a very durable and rugged scope. It comes backed with a lifetime warranty. There’s a lens cloth included in the scope’s package. The scope comes with protective lens caps. It has a 4x zoom range which offers a magnification that is not only very high but also very versatile. It comes with multicoated lens that ensures maximum light penetration for very clear, crisp images. There’s a 4-inch sunshade included in the scope’s package. It has a shock-resistant construction. It produces images that are crisp and sharp. It comes with a fast focus eyepiece that allows you to easily and quickly focus your reticle. The scope is engineered with a DEAD-HOLD BDC RETICLE. The Diamondback HP comes at a pretty good price for all the impressive features it has to offer. Some customers have complained of experiencing a little bit of struggle trying to maintain a proper eye relief. There are no additional batteries included in the scope’s package. Q. Who are the manufacturers of Diamondback Riflescope? A. The Diamondback scope is produced by Vortex Optics, the American-based producer of viewing devices. The company has been in operation since 2004. The company produces viewing devices for activities, including: hunting, bird watching, wildlife watching, outdoor recreational sports, and law enforcement. Q. Is the riflescope shock-resistant? A. Yes, the riflescope’s rugged body design makes is shock-resistant. Q. What colors can I purchase the Diamondback Riflescope in? A. You can purchase the riflescope in only one color, Black. Q. Is the Diamondback Riflescope water-resistant? A. The scope comes with O-ring seals that prevent water from entering it. A. No, there’s no holding case in the scope’s package. Q. Does the riflescope come with chords for holding it? A. No, the riflescope does not come with holding chords. A. The riflescope weighs 18 ounces. A. Yes, it does! Vortex Optics, the manufacturers of the Diamondback, back up the scope with an unlimited lifetime warranty against defects in both materials and workmanship. This means that in the event that the scope develops a problem related to defects in workmanship or materials, Vortex Optics will fix it or if they can’t, they’ll replace it for you. A. It has an eye relief that measure 4.0 inches. Q. What is the objective lens diameter of the scope? Q. Does the scope come with a remote control? A. No, there’s no wireless remote control included in the scope’s package. A. No, the riflescope doesn’t come with an optional external power supply cable. Q. Is the scope used for hunting only? A. The Diamondback can be used for other activities but it’s best suited for hunting. Q. What are some of the things that this scope comes with? Protective lens cap that prevents scratches and damages to the lens when in transit or storage. A 4-inch sunshade that mitigates glare and sun reflections off the scope’s objective lens. A lens cloth that can be used to clean dirt off the lens’ surface. Now that you’ve read the review of the Vortex Optics Diamondback Riflescope, we believe that you can appreciate why it’s a unique scope. The scope’s features, including: multicoated optics, rugged body design, dead-hold reticle, 4-16x magnification, and spacious eye relief make it a value for money. We hope that now you have enough information to decide for yourself whether you need this scope on your next hunting trip or not. 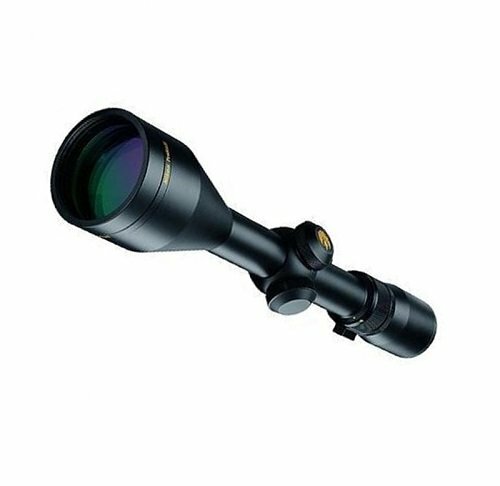 For a few other great riflescopes, read our Top Rifle Scopes Review with Buying Guide.